According to a 2016 study by Google, more than 75% of shoppers turn to search engines to learn about products before buying. So here’s a step-by-step guide to help you set up, review, and run a rock-star SEO campaign to take your Shopify store to the top of Google search result pages. If implemented well, these tips and strategies are a surefire way to generate and convert leads easily. A few marketers still haven’t given serious thought to search engine ranking. If you’re one of them, you’re shooting yourself on the foot just before the race. Let’s take an example of a retailer selling men’s polo shirts in Melbourne. When a consumer is looking for a shop in Melbourne to buy men’s polo shirts, they will type the words “Men’s polo shirts” or Men’s polo shirts Melbourne” into the search box. If your store is ranked second on the result page, you will get 15.54% of traffic for that search query, says Advanced Web Ranking in their study. But if you’re ranked first, you’ll get about 33% of total traffic for that search term. Here’s the thing: assuming that at position two you’re getting 1,200 visitors every month. If you could move to position one, you’d get 2,544 visitors monthly. Depending on your conversion rate, this could translate into a big increment in sales and profits. If your conversion rate stands at 2%, the additional 1,344 (2,544 – 1,200) visitors would fetch you (2*1,344/100) new sales. That’s roughly 27 additional sales every month. Think about how much money that would be worth. And you realise we also used a small number of traffic in our example. Retail shops in Australia ranked at position two on Google typically receive hundreds of thousands of traffic each month. Just moving one spot to number one from number two can more than double your sales. Imagine if you’re currently ranked 10th and jumped to 2nd place. You’d see close to six times as much sales! It reaches a point where all SEO can help you with is maintain your ranking. When your Shopify store is already at number one for your product category in Australia, then SEO can only help you retain that position. However, if you’re currently ranked 10th, then perhaps SEO can help you jump a few positions higher. Content quality plays a huge role in determining how much you’ll gain from your SEO campaign. Each compelling piece of content is a ranking opportunity. In other words, if two similar businesses are competing, the one with better content will outrank the other. The type of content you post is also crucial. Although all types of content can help move you up in Google rankings, some types of content are weightier than others and better able to get you there. Take blogs versus articles for example. Blogs are educational, but they are rarely optimised for SEO. It’s usually just the blogger pouring his or her heart out. But articles are optimised with search engine ranking in mind. This is one of the reasons articles, particularly long-form articles, tend to perform better than blogs. Lastly, and perhaps most importantly, your rewards will be determined by how much effort you put in. If you thought that you can work a few hours a day and start dominating Google within a few weeks, you’re so wrong. That’s not to say that you can’t rise to first spot on Google. It just means that if that’s what you want, then you have your work cut out. 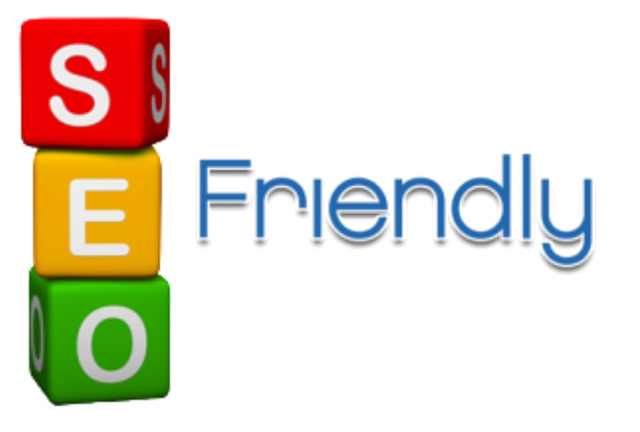 Talking of SEO, Is Shopify SEO Friendly? If you typed this question on Google, you’d get thousands of search results. It’s a question every Shopify user asks. They wonder if Shopify may actually be slowing them down. But here’s the thing! Shopify is perfect for SEO. Sitemap is a feature that helps search engines to discover all your key pages. If Google doesn’t know that a certain page exists, it can’t suggest the page in search engine results. That’s where Shopify can come in and help the search engine find those “missing” pages. Dynamic parameters follow the question marks you sometimes see in a web address. They tend to cause SEO issues because they might leave the user confused or not knowing what the page is about. So, Google sometimes ignores dynamic parameters especially where there are three or more of them. Shopify doesn’t use dynamic parameters in URLs. Slow loading speed can cause even your most loyal customers to abandon you. If your site takes too long to load, the impatient customer may choose to try a different store. Fortunately, Shopify has no speed issues. When designed properly, a Shopify store should load in as little as 0.30 seconds. Cyber crime is a global problem now. Hackers are everywhere and it’s true that they might attempt to take down your Shopify store. And we all know Google. If your store is hacked, they will penalise you with reduced or non-existent organic traffic. It could take you several months to recover from that, or you may never recover at all. So, it’s really nice that Shopify prioritises security and hires expert coders regularly to help them identify and fix potential leaks. But then again, just like other e-commerce platforms, Shopify isn’t perfect. The blog platform, for instance, is a complete mess. The unavoidable multi-folder structure is just pointless. The other thing is the infamous log ID that Shopify places at the beginning of every URL for blog posted. They should just do away with it as it doesn’t help anyone. Good SEO starts with a check of how your store is currently performing. If you can find answers to these questions, it becomes easier to move forward. Are both set up correctly? Google Search Console, abbreviated as GSC is what was originally known as Google Webmaster Tools. It’s designed to help webmasters fix common problems such as broken pages, usability, schema markup and, inbound linking. Through GSC, you can monitor and fix these elements whenever there is a problem. Bing webmaster Tools works the same way. It helps Bing webmasters monitor the said elements and fix problems before they get big. It is through analytics that you’ll find out how you’re performing on Google. How many visited the site yesterday, how many have visited today so far, how many have visited this month, and so on. Analytics will also tell you about how your keywords are performing as well as where your traffic is coming from. Is it mostly coming from referral links? Is it social media? Is it direct traffic? Or is it organic traffic? The way search engines work is that they’ll index the pages you submitted and then list them in search results. Only indexed pages are shown to users. Google indexing works much like a library where books are labelled and categorised. To know which pages have been indexed by Google, search “site:yourstore.com” on Google. For example, if your store is Lilly Ladies Shoes, search “site:lillyladiesshoes.com”. Crawl stats give you an overview of the total number of pages Google sees when it scans your website. Here, the main aim is to look for sharp spikes and sharp drops. Sharp spikes usually mean that Google is seeing more pages from you which is a good sign. It may be because you recently submitted a new product page to Google. Sharp drops, on the other hand, are a sign that Google is seeing fewer pages from you, which could be an alarming sign. If your recent updates are preventing Google from crawling through some of your pages, fix the problem immediately. SEO success can be hard but not impossible to achieve. Sometimes Google might penalise your site without warning, resulting in a sudden drop in traffic. But being unaware of this might make you think maybe something is wrong with your site. Now, that’s a store that’s growing. There are ups and downs along the way but in general, the business’ traffic is steadily increasing. If you see a drastic drop, it could mean Google penalised you at some point. What caused the punishment? Sometimes, however, without having to check your lifetime traffic graph, Google has an issue with your SEO. Google will just send you what is known as “manual action” informing you that you have violated one of their rules. A good example is if you used “black hat” techniques to hack your way to the top of Google rankings. So if Google sent you manual action because of this, consult your SEO provider immediately to help you get to the bottom of the matter. Last but not least, some minor penalties may easily skip your attention. Google algorithm updates come to mind. Major updates such as the Panda and Penguin have hit many businesses hard. Some sites, however, didn’t feel the impact as badly. It’s a good idea to know about all these changes as a store owner. On Shopify, back links also tend to cause several minor issues that some webmasters may not catch. Beware of this. Most likely the health check revealed a lot of information about your site. In the following sections, we now dwell on what you can do to your Shopify site to solve some of these problems, starting with site structure. Site structure refers to the organisation of the website. A poorly structured Shopify site risks ranking poorly on search engines and may also be a turnoff for potential customers. In Shopify, a collection is a group of products. A good collections structure should tell people and Google what each collection is about. But in Google’s words, design the collections first for people and then for the search engines. No one wants a drop down with 100 products. The primary collections should not be too many. About four collections should be fine. Under the primary collections, have another three to six groups of products. To avoid confusions, use popular brand names (such as Adidas), known product types (such as shoes), and known product applications (such as training). Product attributes such as colour, size, and model should be left to filters. The best way to find out how to come up with the best collections is to refer to search engine analytics reports to discover how consumers are arriving on your collection pages. What terms are they using? Can you use the terms to label your collections? If not, see how you can incorporate the terms in your page optimisation, title tags, and URLs. To learn more about your sitemaps, go to GSC then; Crawl > Sitemaps. Do you see a sitemap? If there isn’t one, then Google probably hasn’t indexed it yet. Even if you’ve submitted the page earlier, you may re-submit it. You only need to submit the primary sitemap.xml file. Submitting a sitemap on Google isn’t about telling Google that you have one. Google can learn about that from its mention in the robots.txt file. Submission is done to help you identify errors and warnings. Canonicalisation refers to page unification where there are more than one page serving the same purpose. Having just one page instead of many helps to eliminate issues of duplicate content and is a major step towards improving link value. For instance, if you have two pages as follows; https://www.missvictoriawomenproducts.com and http://www.missvictoriawomensproducts.com, then you need to employ canonicalisation so that instead of two you only have one page. For Shopify stores, we recommend retaining the https version. Rel canonical tags on a page tell search engines the preferred version of a particular page that you want indexed. The tags are vital especially for stores where a certain variant of a product appears in more than one collection. Scanning your URLs using Screaming Frog is one of the fastest ways to review canonicalisation. Ensure that the canonical version of your main product page is domain.com/products/product-name. This tweak alone can increase your organic traffic by over 200%. Pagination simply means dividing content into multiple pages. It helps usability and speed. If a particular page is paginated, a link will be created that takes users to “page 2” of the content. If you have overly long pages, you may want to consider pagination as users find it tiring to scroll through endless pages. A website’s accessibility is defined as a site’s likelihood of being found on Google and social media. Country Targeting: Do you sell your products outside Australia? Maybe you have a special sub-domain for your Asian store? If so, then you need to optimise your store by country. The appropriate county should be associated with the correct website in the GSC. For international targeting, however, you don’t need to do any optimisation. Just leave the county section blank. Language Targeting: Language targeting works the same way. The default language is English. But if you’re also targeting French speakers, you must add French. Use the Langify app developed by Johannes for this. Can you still see the menus? Are the links still clickable? Is content displayed correctly throughout? But you might just want to check to confirm in case these features are disabled by the user’s device or browser. These elements were not understood by search engines until 2015. 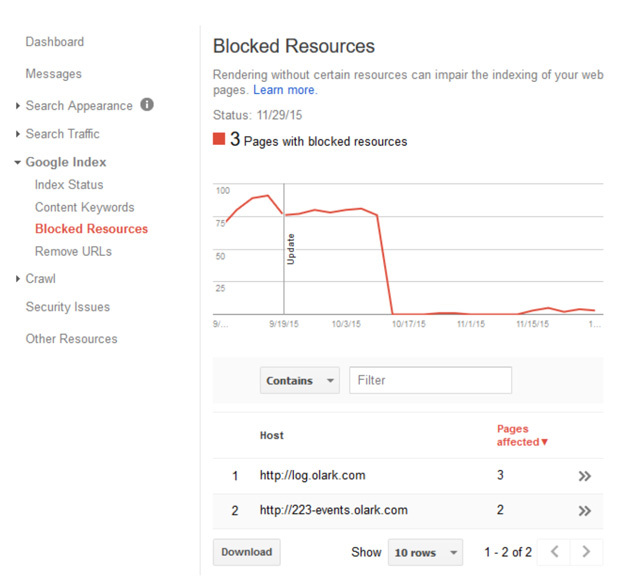 If you find any blocked resources, take steps to resolve the issue. Cloaking: Cloaking happens when search engines and site visitors see completely different site content. It’s a trick resorted to by some people to steal a match on competitors, but is strongly discouraged by Google. Google believes that search engines should see exactly what users see. Thankfully, 99% of Shopify stores do not employ this underhanded tactic. A simple tool that will tell you if a website is cloaked is User Agent Switcher. Structured Data Errors: Also known as schema data or rich snippets, structured data include things like ratings and reviews that you’ll see under certain results in the search result page. They mostly appear for products and services that users have rated or reviewed, such as Amazon products and hotels or holiday destinations. Ratings can influence a user’s judgment when selecting which result to click. The problem is that a store may have a 5-star rating on the product page but an aggregate 3-star Amazon rating in Google search results. This obviously would leave a negative impression of your store for searchers. Review your “Structured Data” report on GSC to spot any errors causing this. Semantic Markups: Every store should use three types of semantic markup; product markup, review markup, and product offer markup. Product markup includes things like brand, colour, and so on. Check schema.org/products to see if your store uses the markup. Review markups are basically just the reviews and stars. Check schema.org/aggregagerating to find out about your review markup. Check schema.org/offer to learn more about your product offer markup. Twitter Cards and Facebook Open Graph Tags: Shopify customers love to share their experiences on social media. You can take advantage of this by using twitter cards and Facebook open graph tags. In addition to helping with SEO, both deliver a richer experience when your products are shared on the two social media platforms. Heading Tags and image Alt text: H1 and H2 tags should always be used for title and sub-titles respectively. You can again use Screaming Frog to find out if this is implemented on your Shopify store. Ensure that the title and subtitle describe the page and contain at least a word or two that you want to rank for. Image ALT text tags are just as important. Since Google can’t read images, the ALT text helps a lot in telling Google what the image is about. Moreover, Alt texts are usually displayed in place of the image where the image cannot be displayed due to coding errors or issues with either the user’s device or browser. Readability: How easily your can your content be read? Does a user have to move the device closer to their eyes in order to catch your words? Are some words too technical for the target audience? This means that your choice of fonts is critical. Pick a font style and size that can be easily read without problems. You can use read-able.com to check the readability of your site. Aim for a score of 60-80 for general products and at least 50 for technical industries such as electronics and medical. W3C Validation: The worldwide web consortium has set forth guidelines to help develop better web pages that are both accessible and deliver satisfying user experiences. Checking to ensure that your pages comply with these guidelines can also benefit your SEO. The checking can be done by viewing your pages the W3C markup validator and W3C CSS validator tools. Fix any errors to maximise the chances of your store ranking well on Google. More than half of Shopify users access the platform via mobile. As such, it’s crucial that you make your site mobile friendly otherwise you may end up ranking very poorly on Google search. You can start by reviewing your “mobile usability” report in GSC. If you find any issues fix them right away and check GSC again to see if the fixes were sufficient. The time it takes for a page to load has been a ranking factor ever since Shopify was founded. A fast store also attracts more visitors and retains traffic for longer, increasing chances of making a sale. You can again use PageSpeed Insights to review your store speed, though Google Insights is another free tool that will tell you everything about your speed issues in the “Behavior” section. Refers to how easily users can get around your website from the homepage. To refine your site navigation, first look at user patterns:. How are users navigating your site? Where do they go immediately after landing on the homepage? What keywords do they click on? When you know all these, you can then structure your navigation in a manner that makes getting your site easy and quick. Internal links are great for SEO as it tells search engines about the connection between your products. However, too much internal linking can be dangerous. The rule of thumb is to keep your internal links under 100 per page. To do this, make sure that product pages are only linked where necessary. If the user wouldn’t benefit from a link, avoid linking. The anchor text of a link is the clickable part of that link. Anchor texts should always be present and highlighted to make them more visible. But avoid generic “click here” anchor texts as they rarely get clicked on. Instead, use product names or texts that users can quickly associate with something they may want to learn more about. An image file is the last portion of the URL (preceding the question mark) when viewing an image. Shopify encourages store owners to make image file names descriptive of the image. Additionally, they must be optimised by using image ALT text discussed earlier. Remember that Shopify names images from the image file name submitted at the time of upload. So, you must use an image file name that perfectly describes your product. Most people just post any image size not knowing the repercussions. On Shopify, larger images are discouraged as they take longer to load. Screaming Frog can help you determine the size of each of your images. Once you know the sizes, adjust as appropriate so that you have only reasonably sized images. A 404 error is the message a user will get if they tried to visit a page on your site that doesn’t exist. It might be because of a broken link or maybe the page was removed. This isn’t a bad thing. But you need to at least tell the user what to do next. Shopify allows you to tell the user that the page they are looking for cannot be found. You can even ask the user to directly contact your store manager in person if the person believes that the page should exist. Well designed 404 pages improve user experience which in turn helps with SEO. Finally, 3xx response codes are not good for SEO and must be avoided at all costs. Having multiple such codes, especially, can seriously hurt your SEO. After usability, the other thing you need to optimise for SEO is your Shopify content. The fact that content is king doesn’t mean that you should just post any and all types of content. Your content marketing campaign should be professional and purposeful. Publish only content that adds value to your store. Use particular words in your web pages, product pages, articles, and videos if you want them to be found in Google when someone uses those words in their search queries. However, that’s not a license to fill your content with keywords. That’s so 2010. Use keywords naturally. Title tags are the large blue texts you see in Google search results. A perfect title tag contains your keywords. It should also be sort of an answer to query consumers often type in the Google search bar. Title tags should also be short, somewhere between 50 and 55 characters, though 35 to 60 would also work. Make sure that the title tag is understandable. If a user can’t understand your title tags, they are likely to overlook your website on the results page. Lastly, make it catchy and ensure that the title matches the content on the page. Meta descriptions are the block of content you see just under your title tags. Meta descriptions have no direct influence on SEO but can, like title tags, sway the user in your favour if the user chooses to read the description when trying to choose which website to visit. Make the description as detailed as possible to help Google understand what’s on that page. But remember to keep the description within 145 to 160 characters. Descriptive URLs contain the primary keywords you want the page to rank for. The majority of stores on Shopify have good URLs. But there are two ways you can further improve the URLs. First, try to use the best possible product names based on search query analysis. Second, adjust your targeted keywords by comparing what you’re currently using to what Google Trends and some of the advanced keyword tools recommend. You can also review your competitors to find out what keywords they are using. 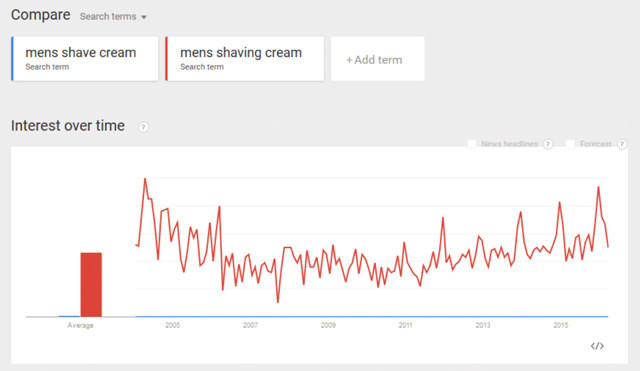 You can clearly see that “mens shaving cream” has been performing better than “mens shave cream” for a long time. The question here is whether there is enough unique and valuable content to help a visitor make an informed decision. Product content should be elaborate. There are certainly plenty of similar products on other stores, why should the user buy from you? If you can provide all the information in text descriptions, feel free to add images and even a video with further details. All these three should have dedicated pages. Don’t use the home page as your about and contact pages. It can negatively impact user experience as well as hurt your SEO. The about page is a parameter Google uses to gauge your trustworthiness. If you’re not providing an about page, then Google may see you as untrustworthy. Use this page to reveal your company staff members, and share your story with your visitors. The contact page is another page that Google uses to judge the trustworthiness of a website. If you don’t have a contact page, the search engine may get the impression that you’re not a real company. Some of the details you need to include in the contact page include; company address, Google Map of the company address, company email address, and support phone number. Google may also see your store as more trustworthy if you have a Shipping & Return page. The reason is simple; online shoppers want to deal with transparent sellers. Your Shipping & Return page helps to show your transparency. You may even split the two to end up with a Shipping page and a separate Returns page. Finally, blogs are great at generating traffic and educating potential customers, but only if used appropriately. Don’t just blog for the sake of it. Write blogs that answer consumers’ questions not some cheap piece meant to please the search engines. One way of knowing if your blog is truly good is to ask yourself if you would link to it if you were someone else blogging for a different company. Would you see it as good enough to direct your readers there? If not, then you’ve created a poor blog. Engagement: Did the user stop searching upon landing on your website? If yes, then you answered the person’s search query. If they kept on searching, then you probably didn’t provide a good enough answer. Social shares: Just like links, social shares are a major indicator that the user was happy or disappointed with the experience. The aim is to be so outstanding that users instantly feel the need to share the experience with their social network. That’s it. You now know what you need to do to make your Shopify store more search-engine friendly. Start applying these tips today and watch as your fortunes change.